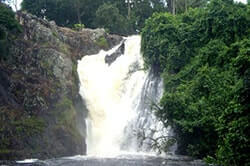 Ssezibwa Falls are found in Mukono district, accessible from Kampala after about 30 kms along Jinja highway. At Kayanja Trading Center, overlooking Kasaku Tea Estate, turn right following a sign post directing travelers into a murram road which is 1.5 km to reach the falls. A visit to the Spectacular Falls is usually a supplementary activity to those doing Uganda Safaris and tours in Jinja or Mount Elgon region. The water falls emerging from rocky grounds falling deep into a kind of oasis water collection surface, before draining in Ssezibwa River, leaves behind a cool environment pleasant to complete relaxation. 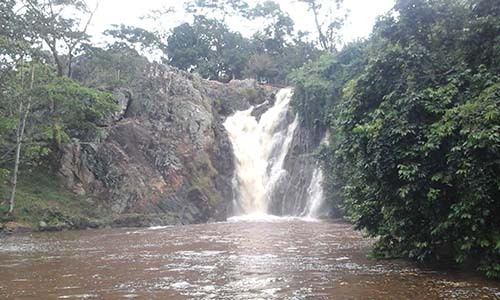 The Ssezibwa Falls is also the scenery for collection tropical birds, especially for bird lovers, butterfly watching and relaxing in environmentally forest biomass system. 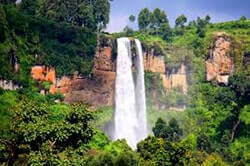 At Ssezibwa Falls, hissing waterfalls sound welcomes you here to this natural colour environment. 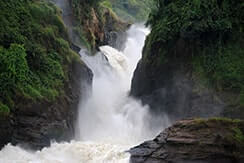 Ssezibwa is a Luganda word meaning awesome thing. The beautiful and spiritual Ssezibwa Falls have long been one of the favourite nature preserves for Buganda’s Kabakas (Kings). Ssekabaka Mwanga II planted a giant tree here to show his respect for the Ssezibwa Falls, and Muteesa II planted another. 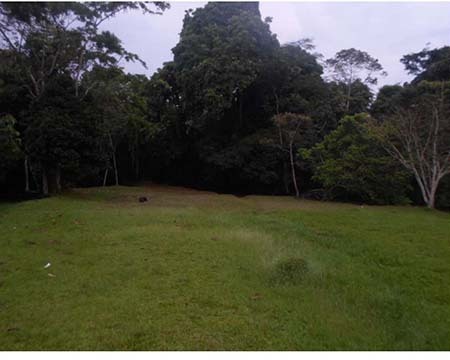 Both trees are regarded as sacred gifts from the Kabakas. This is where many natives flock for blessings for wealth and fortunes in their lives. These falls are believed to have been born by humans many years ago. It is said that a woman, Nakangu of the Ekibe (wolf) clan gave birth to a twin river, which split into two distant streams by an island immediately below the waterfall. It is believed locally that the spirits of Nakangu’s unborn children, Ssezibwa and Mobeya still inhabit the river, and it was once customary for any Muganda passing its source at Namukono, some 20 km further east, to throw a handful of grass or stones into it for good luck and great fortunes. 2. Nature-guided walks (2 trails). 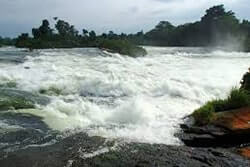 Others water Falls in Uganda.